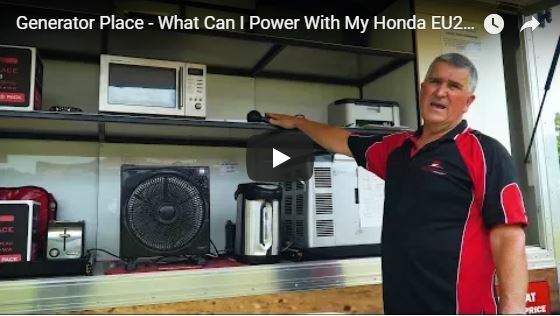 What can you power with an Eu22i Honda Generator? Want to know what you can power with the EU-22i? From fridges, to fans, to microwaves, printers, TVs and air-conditioners you’ll never be without the creature comforts with the EU-22i on your side. You can safely and effectively run multiple appliances at once which means you don’t have to worry about overloading your generator.